Welcome! I’m so happy to have you here! Looking for an easy grilled chicken recipe? 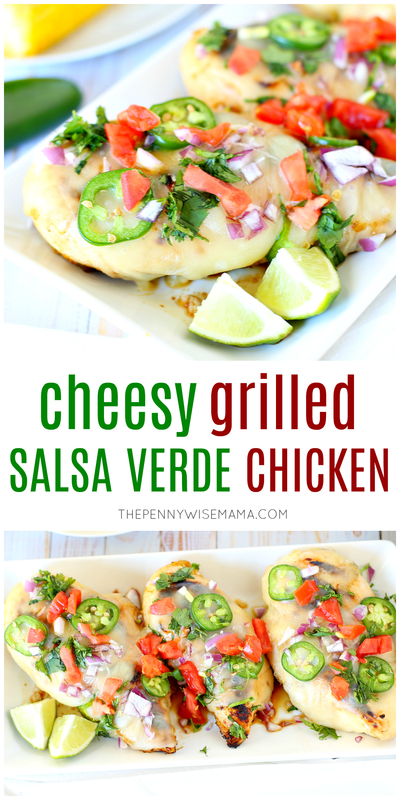 This Cheesy Salsa Verde Chicken is a family favorite! 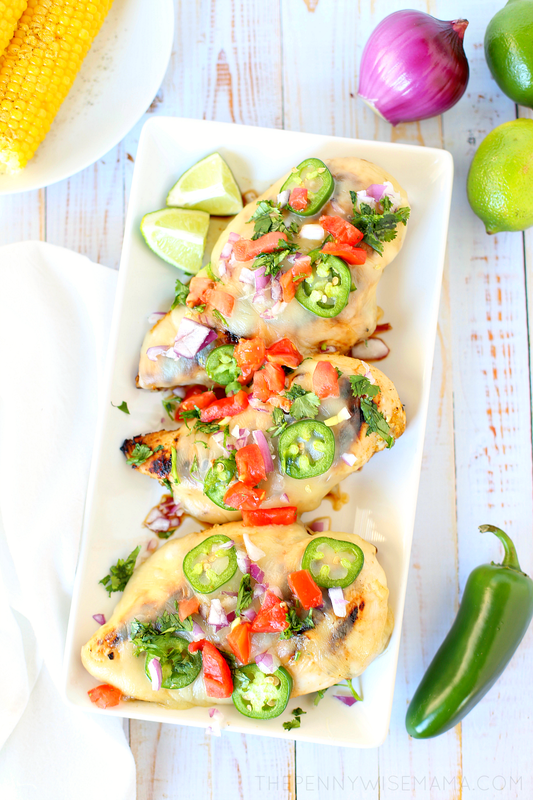 Chicken breasts are marinated with Mexican spices and salsa verde, then grilled to perfection and topped with Monterey Jack cheese, cilantro, jalapeño, and tomato. 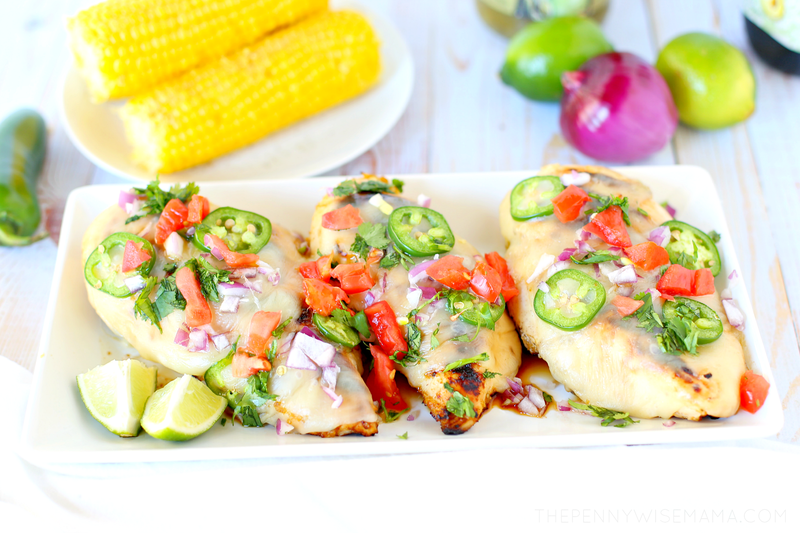 Cheesy, full of flavor, and simple to prepare, this is one chicken recipe you’ll want to make again and again all summer! I partnered with Safeway to bring you this post. Who’s ready for grilling season? I sure am! The weather is finally turning warmer, which means it’s time to dust off our grill and put it to good use. After months of cooking with my oven, I am more than ready to have my husband take over cooking dinner! During the warmer months, we usually grill out 5-6 nights a week. It’s simple and there’s so many great grilling recipes! We tend to grill chicken a lot and have quite a few different recipes we like to make. One of our absolute favorites is Salsa Verde Chicken. It’s so unique and full of flavor! Living in Colorado, we love Mexican food. Any chance we get, we add chili powder, cumin, garlic, green chile, and jalapeño to our meals. 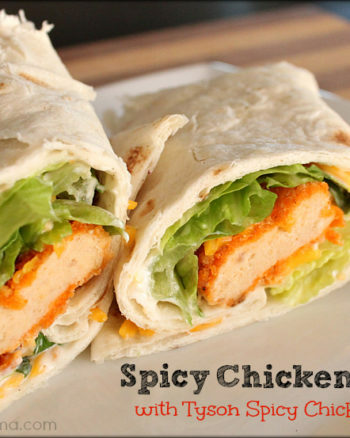 It creates great flavor and just enough heat to satisfy our love for spicy food. 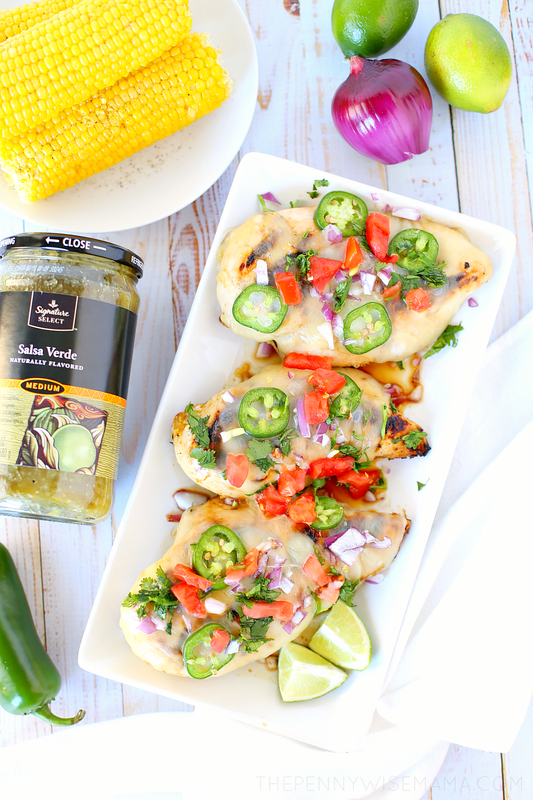 This Salsa Verde Chicken combines everything we love about Mexican food with grilled chicken. 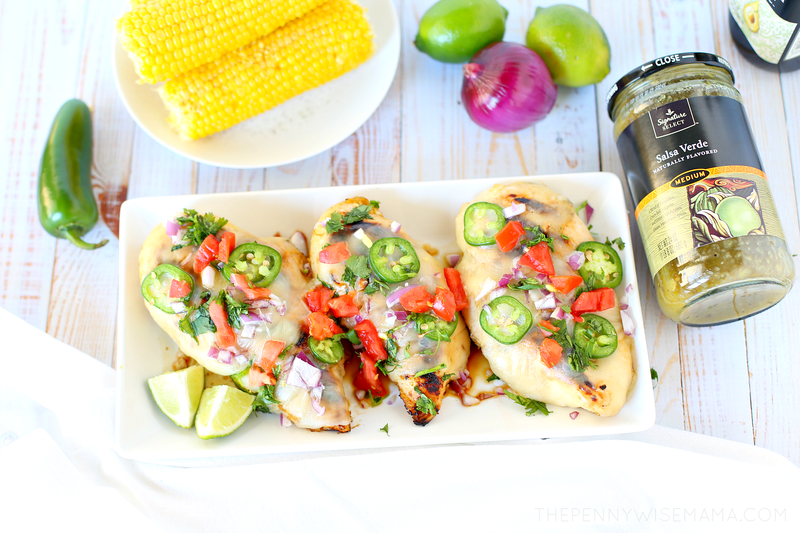 Boneless, skinless chicken breasts are marinated with olive oil, garlic, chili powder, cumin, and salsa verde and then grilled to perfection. But the goodness doesn’t stop there! 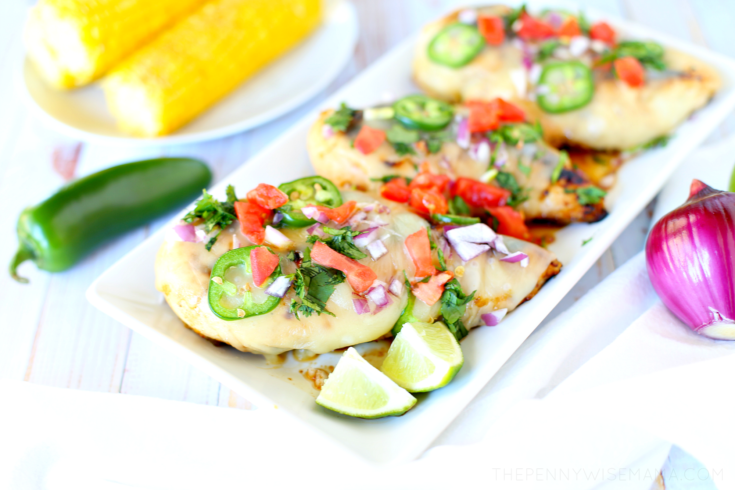 Before serving, the chicken breasts are topped with Monterey Jack cheese, sliced jalapeño, cilantro, and tomato. 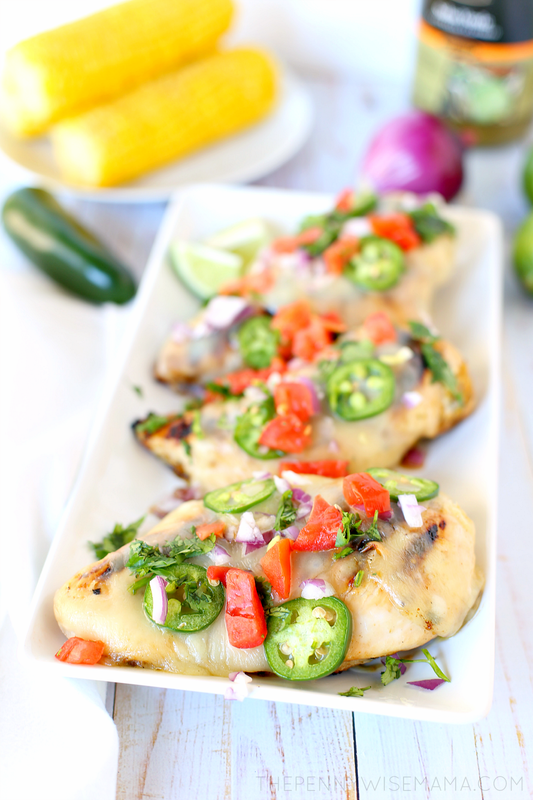 Cheesy and full of flavor, these chicken breasts will leave your taste buds wanting more! The key to this recipe turning out amazing is using quality ingredients. 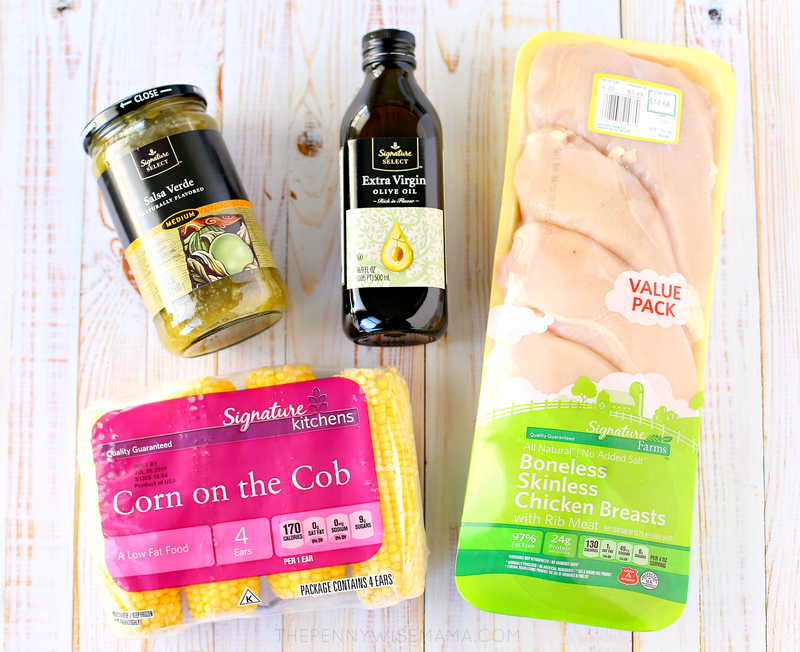 I recommend using Signature Farms® Boneless Skinless Chicken Breasts available in Colorado exclusively at Safeway. You can also find them at all Albertsons Companies family of stores, including Albertsons, ACME Markets, Safeway, Jewel-Osco, Vons, Pavilions, Randalls, Tom Thumb, Shaw’s, Star Market, and Carrs/Safeway. Not only are they a great value, they are also great quality. The breasts are large, and when cooked, they come out tender and juicy. I also recommend using Signature SELECT™ Salsa Verde. There are many different salsa verde options to choose from and this one is our favorite! It has an authentic, homemade taste and isn’t too spicy. Even my kids love it! To make this recipe complete, serve with a side of Signature Kitchens® Corn on the Cob. It’s delicious and simple to prepare. Simply boil or microwave the cobs while your chicken is grilling! 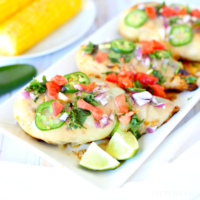 Chicken breasts are marinated with Mexican spices and salsa verde, then grilled to perfection and topped with Monterey Jack cheese, cilantro, jalapeño, and tomato. 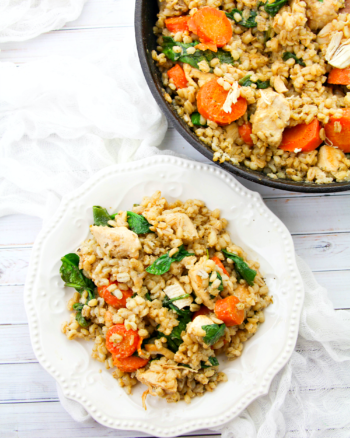 Cheesy, full of flavor, and simple to prepare, this is one chicken recipe you’ll want to make again and again all summer! In a large bowl, whisk together ½ cup salsa verde, olive oil, juice from 1/2 the lime, garlic, chili powder, and cumin. Add chicken and toss until fully coated in mixture. Place in rectangular baking dish and pour remaining mixture over the top. Cover and let marinate for 20 minutes. Preheat grill to medium-high. Add chicken and cook for 6 minutes. Flip chicken and brush with more salsa verde. Cook for another 6 minutes or until internal temperature reaches 165°F. 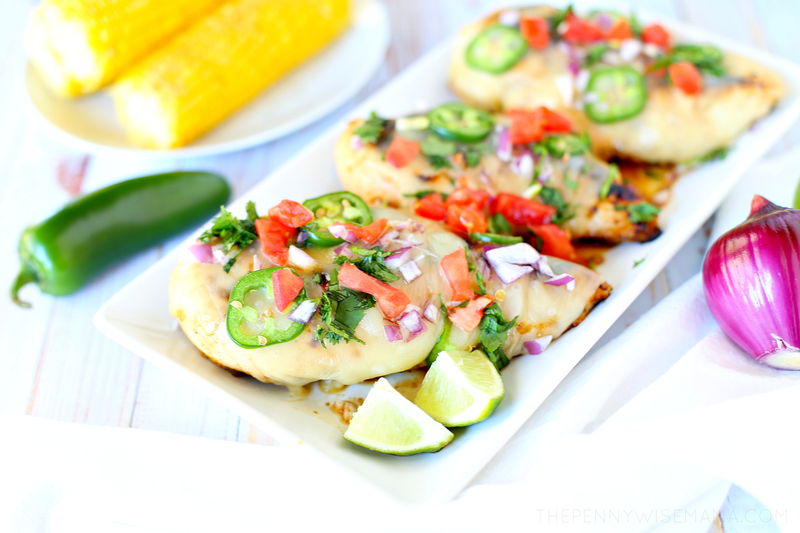 Top each piece of chicken with 1-2 slices of Monterey Jack cheese and jalapeño slices. Allow cheese to melt, then remove chicken from grill. Top with red onion, cilantro, and tomato. 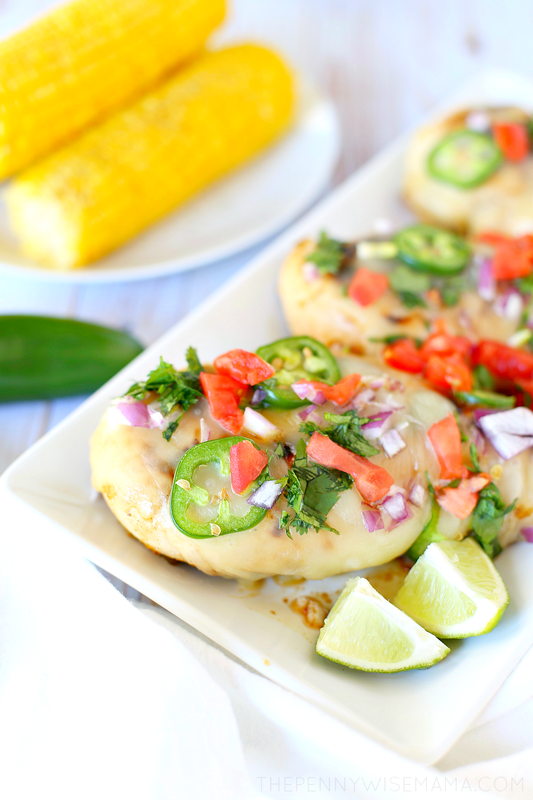 Cut remaining lime into wedges and serve with chicken. Enjoy! Make this recipe complete with a side of Signature Kitchens Corn on the Cob! It’s time to kick off grilling season! 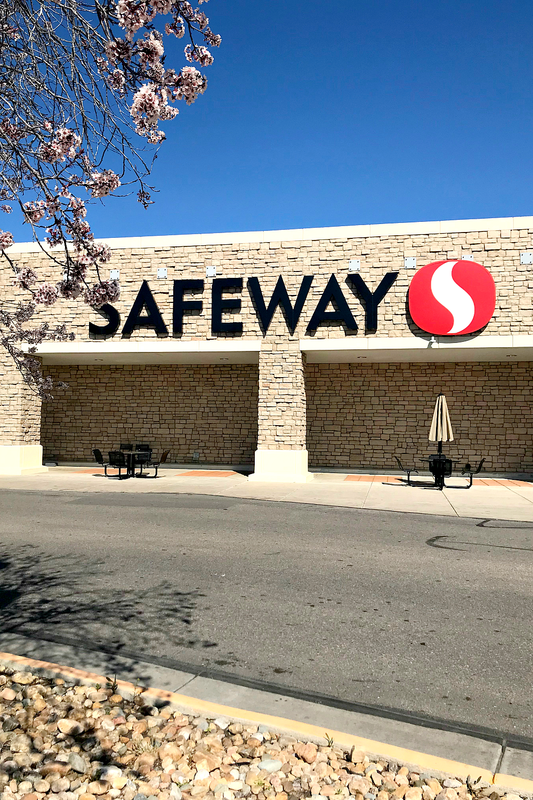 Safeway has everything you need to bring the best flavors of summer to the table, including a wide variety of high-quality, affordable Signature SELECT, Signature Kitchens, and Signature Farms products. They are less expensive than name brands, but taste just as great, if not better! Click here to find a store near you and discover more meal prep tips and recipe ideas. 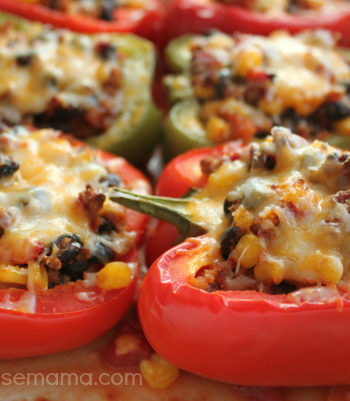 Want to pin this recipe for later? 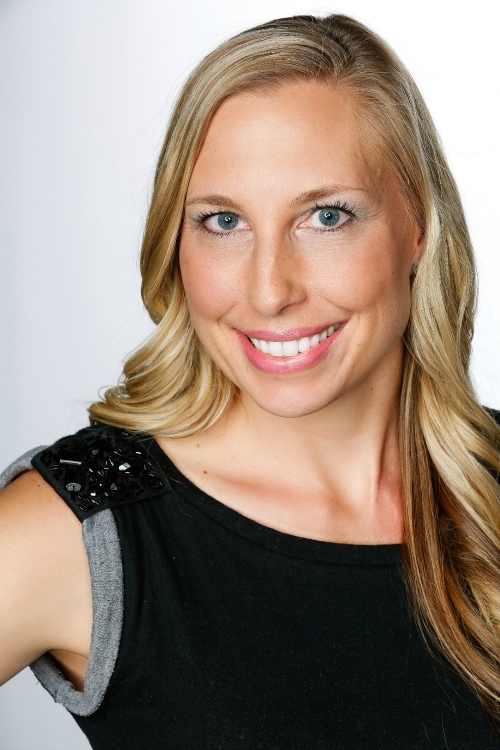 Hover over the image below and click the “Save” button in the top left corner to save it to Pinterest. This is a sponsored post written by me on behalf of Safeway. All opinions are my own. What a delicious recipe! This looks so good and flavorful! I’d love to try it!